The DMU Library has been selected as one of two Resource Libraries by the National Library of Medicine in the state of Iowa. Resource Libraries are designated institutions within the Greater Midwest Region whose quality and size of collections or uniqueness of materials add significantly to the region's resources. These libraries play a primary role in regional resource sharing and serve as backup reference resources for smaller libraries in their respective states. 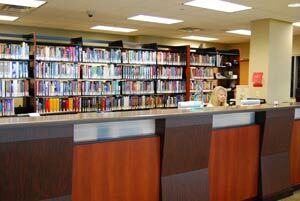 Library has both reserve and board collections available at the front desk. 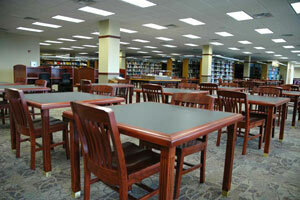 Students have access to printers, copiers, and scanning equipment. Anatomical models ranging from foot and skulls to full skeleton models. Over 900 journal titles available in print and online. An 18,000 volume medical print book collection and access to over 8,000 eBooks. 26,000 bound volume journal collection. Study areas, including 26 study and conference rooms with white boards.